Your microwave oven should be cleaned regularly to prevent grease and food particles from building up on the inside surface. The accumulated grease /food particles may cause a fire hazard. It's important to clean the interior of your microwave oven after each use. To clean the oven interior, use a mild detergent solution, such as washing-up liquid, with warm water on a soft cloth. It's suggested to place half a lemon in a bowl and add 300ml water inside the oven. Then heat it on 100% microwave power setting for 10 minutes. Wipe the oven clean with a soft, dry cloth. Do I need to clean my microwave? In a nut shell, 'yes you do'! 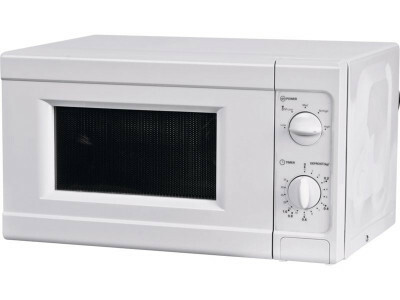 Splatters of food in your microwave look bad, smell bad, and will decrease the efficiency of your microwave. In some circumstances. these can also be the cause of fires and can void your warranty if not cleaned off. It is best for your own health and safety that you regularly clean your microwave oven. The good news is that they are so easy to clean & keep fresh! Please watch the video on this support page for our preferred method which doesn't require any chemicals & will only take 5 minutes of your time. Please watch the video on this page which will guide you through a simple process that doesn't require any chemicals whatsoever. All you will need is some fresh lemon, some water & a jug! Radio and TV reception maybe interfered with when microwave oven is operation. It is similar to the interference of small electrical appliances such as food mixers, vacuum cleaners and electric fans. This is normal. Although starting the oven with no food in it should be avoided, it does no damage to the oven provided it is only operated empty for a very short time. It is advised that a glass or microwave safe container of water is always left in the oven to absorb any heat should the oven be turned on accidentally. Steam accumulating on door, hot air out of vents. In cooking, steam may come out of food. Most will come out from vents but some may condense on cool places such as the oven door. This is normal. When the oven is plugged into a wall outlet for the first time, it does not work properly. What's wrong? The microcomputer used in the oven control may temporarily become scrambled and fail to function as programmed. Unplug the oven from the wall outlet and then plug it back in. The microcomputer will then reset for proper functioning. Why is there noise coming from the oven when using a lower power level? When cooking with power other than 100%, the oven automatically switches on and off to obtain the correct power output. The clicking noise can be heard when the oven switches on and off. This is normal.